Hi! Here are the spoils from a quick trip to the thrift store (Value Village) in August. 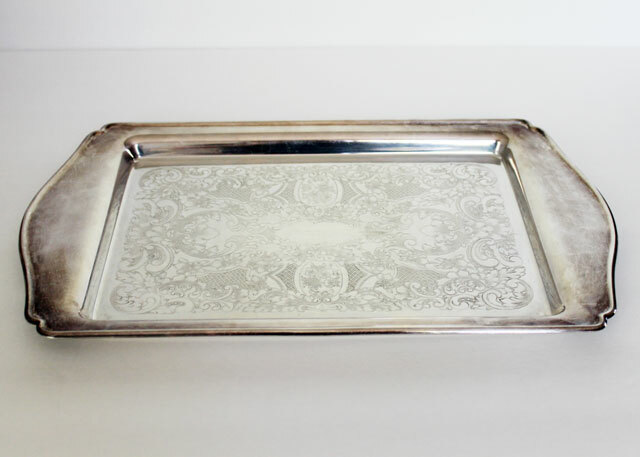 This is a silver plated serving tray by William A Rogers, dated 1984. It's nice and heavy and a good size from many purposes. 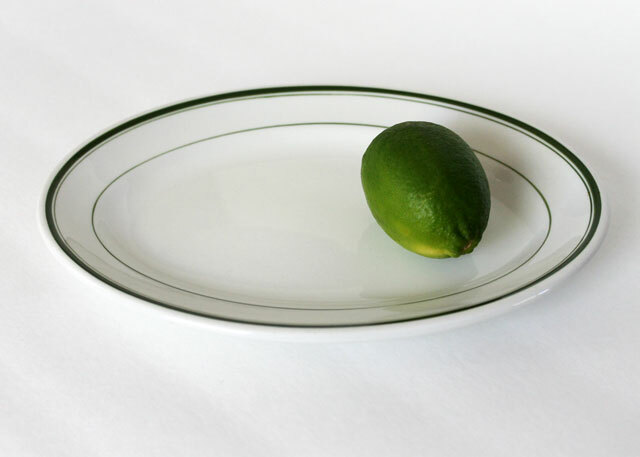 Next is a thick oval shaped vintage plate, known as restaurant-ware. 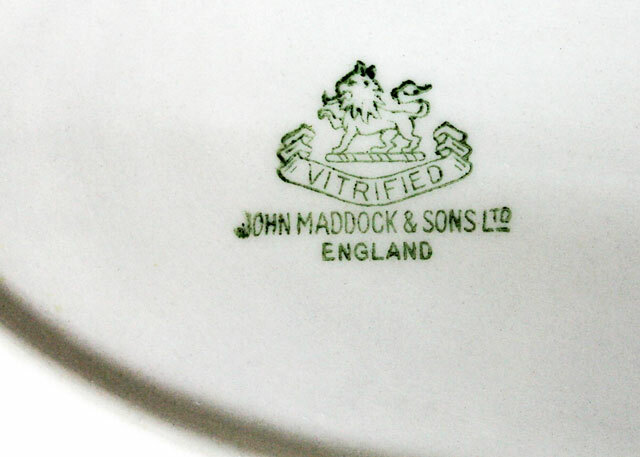 It is stamped John Maddock & Sons Ltd, England, a company that was making crockery for 160 years, from the mid 1800s to the 1970s. The particular stamp with the lion was used by them beginning in 1896, until 1945 (as far as I can tell), so while it is in perfect condition it is likely more than 70 years old. It must have been kept in someone's cupboard! 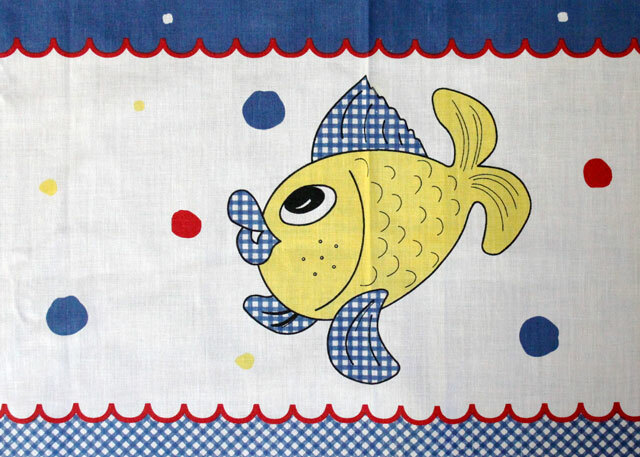 The third item is a cute tablecloth, that has never been used. It is marked Made in Portugal and while it has a vintage look to it, I don't know if it is old or new. 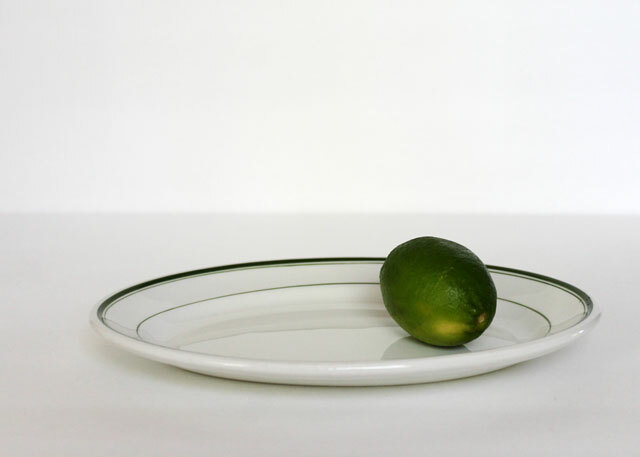 Either way, it has been washed and is ready to be used in setting a cheerful table! 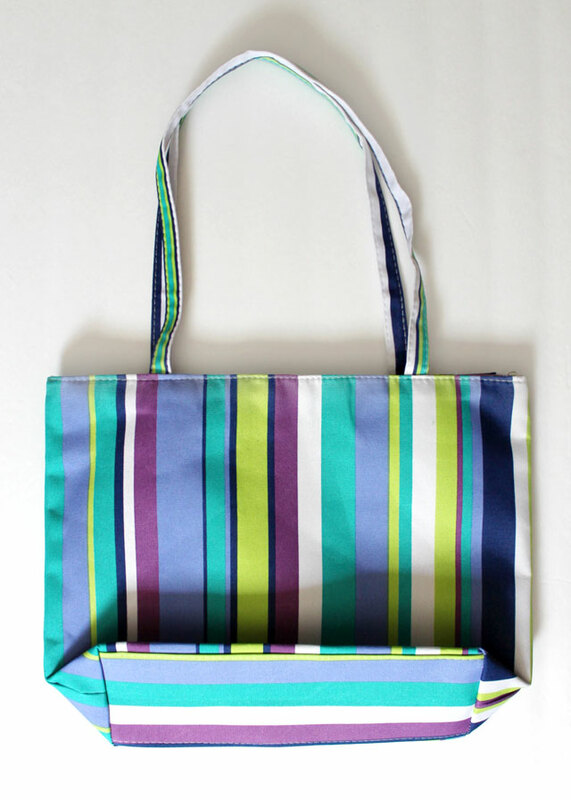 Finally, another 'never been used' item I picked up for $2 is this canvas tote bag, complete with a zipper and a lining. It has no tags on it, but I think it may have been a 'gift with purchase' that some premium cosmetic companies sometimes give out. With summer at an end, I think I'll tuck this away for a hoped for beach vacation during the winter. And that is all I got! Thanks for taking a look. I hope you have a great weekend. 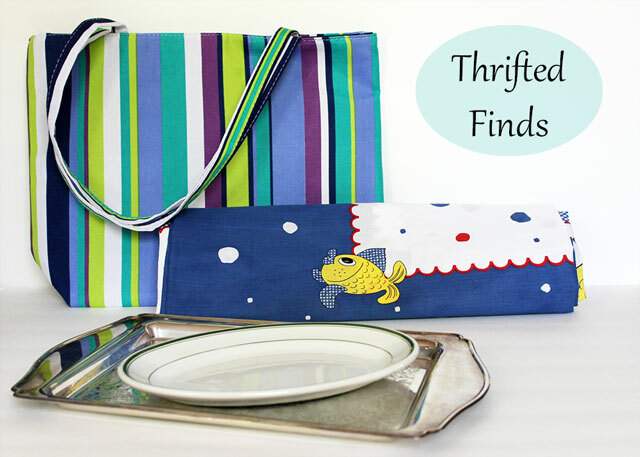 This post has been linked up over at Joann's Vintage Bliss Tuesdays. 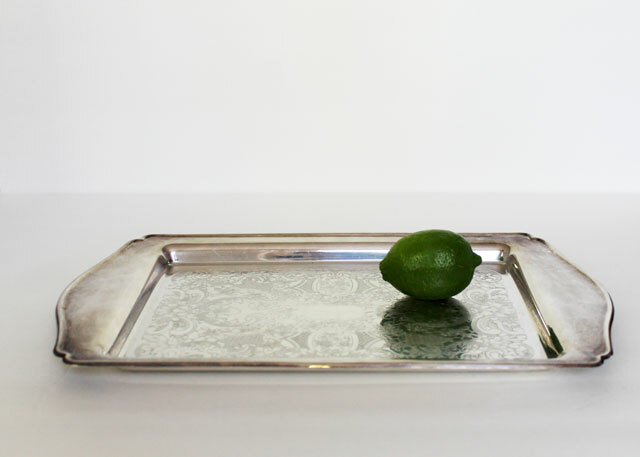 oh, that silver tray is my fave! great finds. 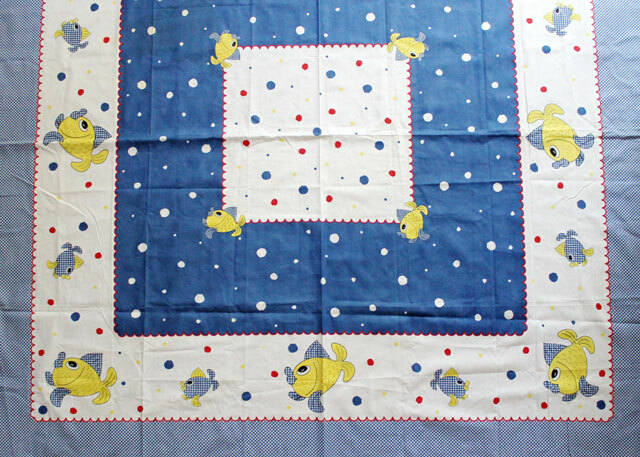 eek I love the fishy table cloth!! Great idea for a link-up party Jo! I’ve put mine in and look forward to seeing the vintage treasures that your other online friends have found. 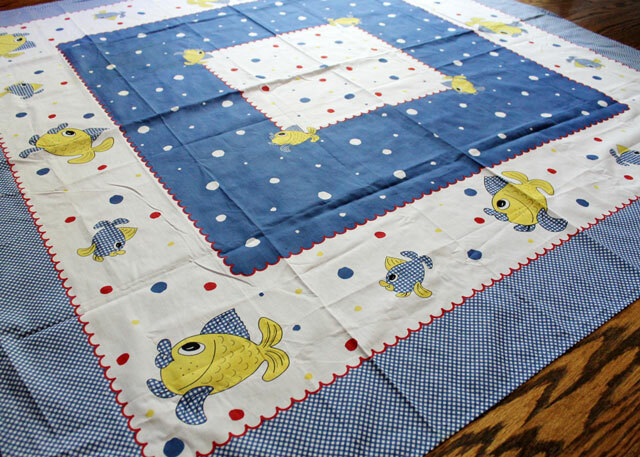 Love the tablecloth, it’s so cute!! Great finds for VV!! 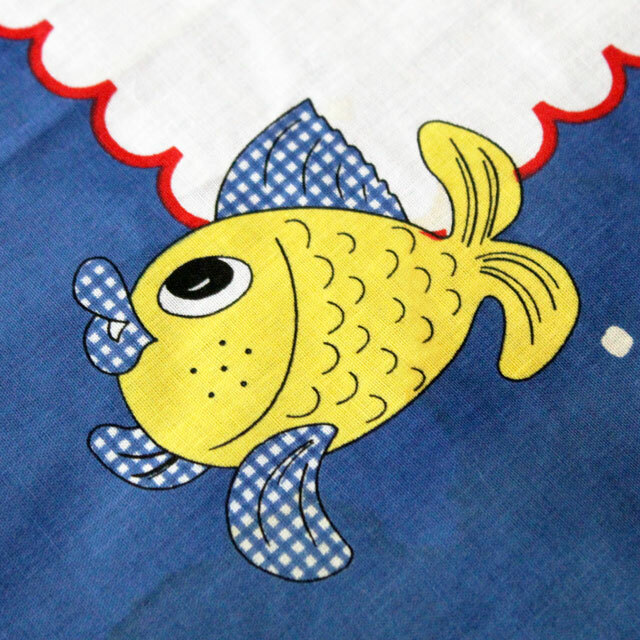 That tablecloth is the sweetest!